The only thing I love better than a good group costume is a good nerdy group costume. 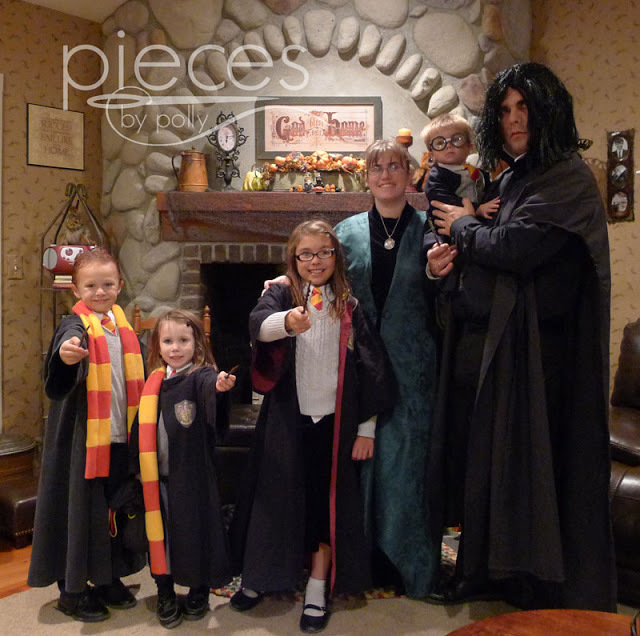 The only thing I love more than that is a good nerdy group costume with a couple of adorable kids thrown in. These families all nailed it, and it makes my ovaries hurt just looking at them. 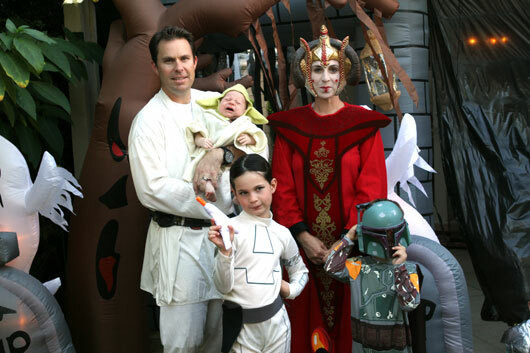 You can’t talk geek culture without Star Wars, so let’s start out with this regal Amidala and her crew of adorable cosplayers; I am digging mini-Leia’s ‘tude and even though our teeny Yoda is upset, it really only enhances the look, no? 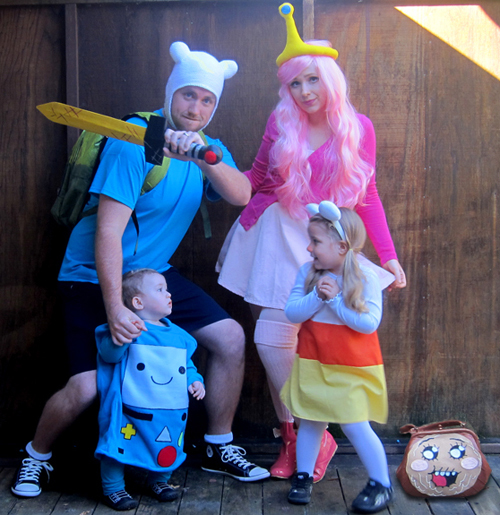 Adventure Time is my absolute favorite, and I’ve been trying to talk my kid into going as Fionna, the gender-bent version of the show’s Finn the Human for Halloween this year. I might as well give up now though because there is no topping this family’s take on it. 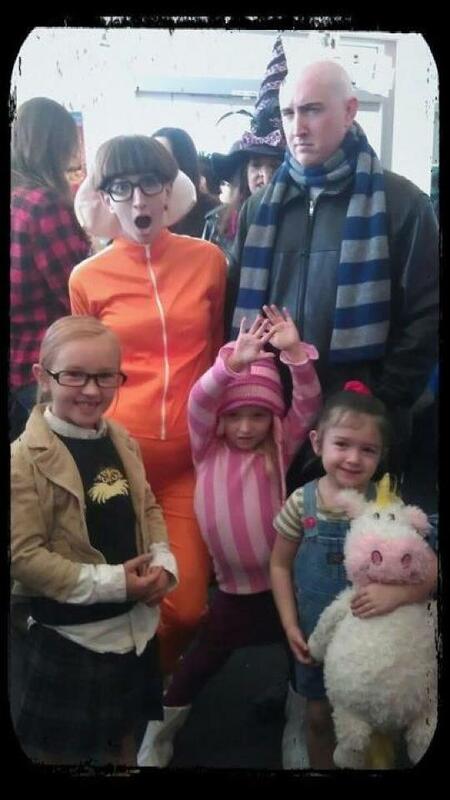 That Princess Bubblegum costume is to die for, and I can’t look at Beemo or Science the Mouse without squeeing. There’s even a Cinnamon Bun treat bag! This whole family needs to be my new best friends. I am digging this family so hard, you guys. 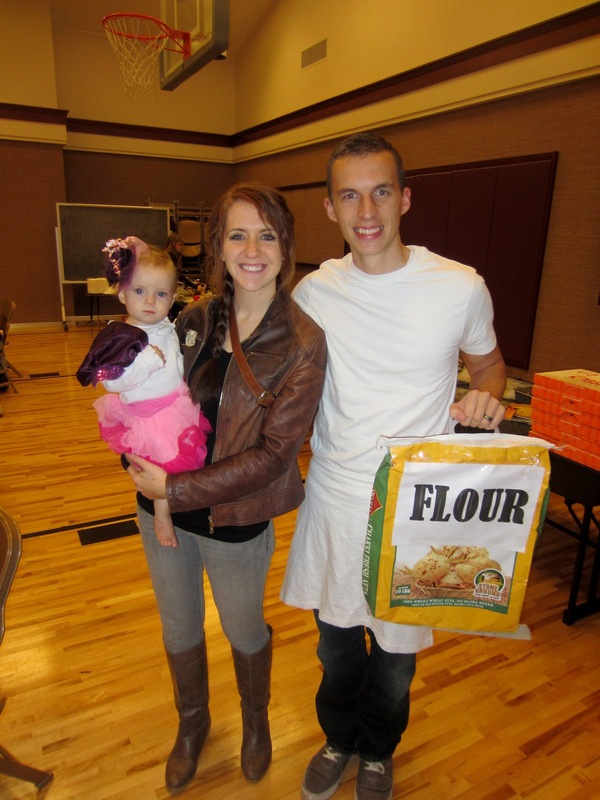 I love that dad Peeta is carrying around a literal bag of flour. I love that mom Katniss manages to look comfy and stylish and accurate, and I love, love, love the tiny Effie Trinket that they’re toting. I’m just saying that as much as I love Elizabeth Banks, the movie could only benefit from a baby Effie. I don’t know if Despicable Me technically counts as geekery but I don’t care. There’s two Despicable Me group costumes on this list, and I’m starting with this one because a) that minion! and b) I have so much respect for the very in character Vector, who is also sporting a baby bump. Click through, it’s worth it. I can never let my daughter see this picture, or she’ll want me to make a Creeper costume for her, and there’s no way anything I could make would hold a candle to what you see here. 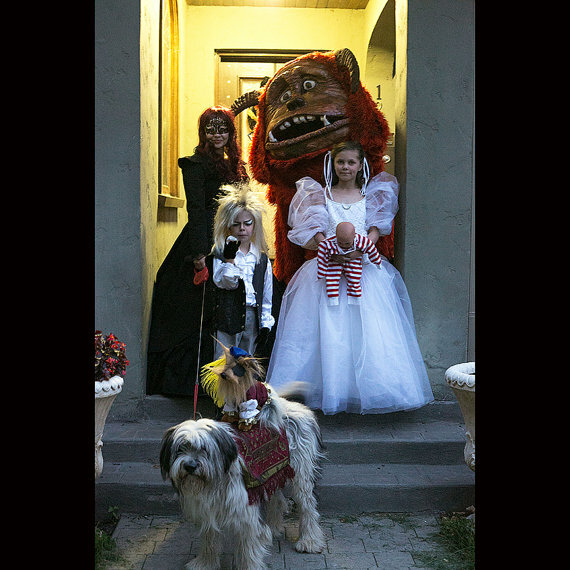 Yes, this Labyrinth costume is expensive. But you can’t look at that Ludo or that Sarah or that completely in character miniature Goblin King and tell me that it wouldn’t be worth it. Potentially the best thing about these costumes is that they are (supposedly) a breeze to make, and there’s a tutorial if you click through. Although good luck trying to out-cute that little Harry Potter. Can’t be done. This is the first of two Doctor Who groups I have on here as well because like Star Wars, there is no way you can think “geek” without also thinking of the TARDIS. I love the little Weeping Angel and I’m also wondering where they got that gas mask. Spot on. 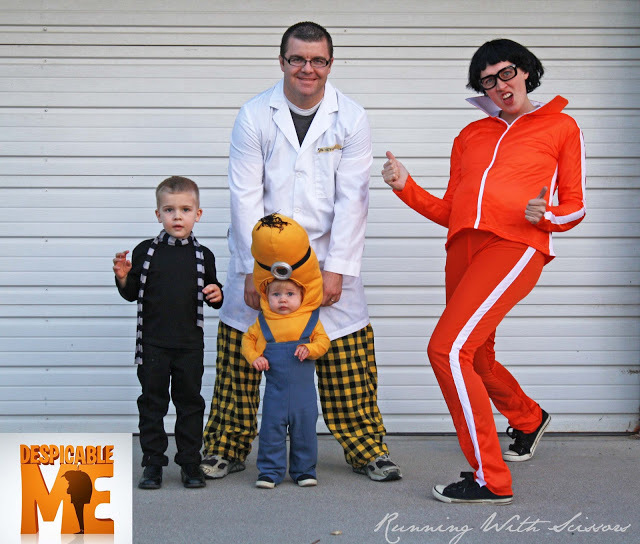 Here’s the second Despicable Me family. It was worth including because instead of boys, there’s this gaggle of girls, who do a spot-on Margo, Edith and Agnes, right down to the unicorn. 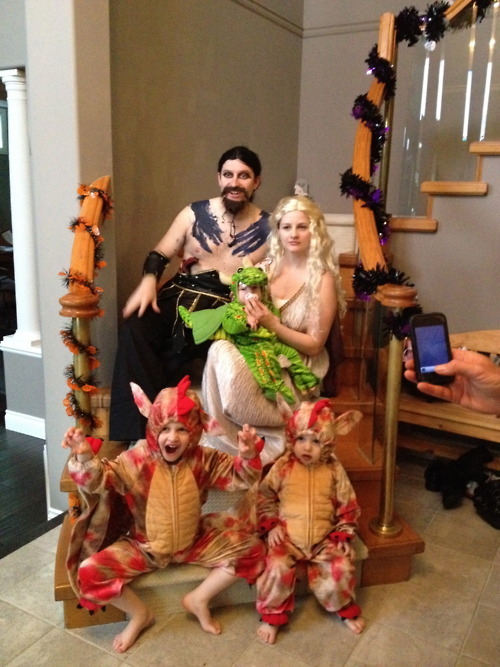 Of all the ways that you could cosplay Game of Thrones as a family, this has to be the least stabby/incestuous. And it’s totally adorable. 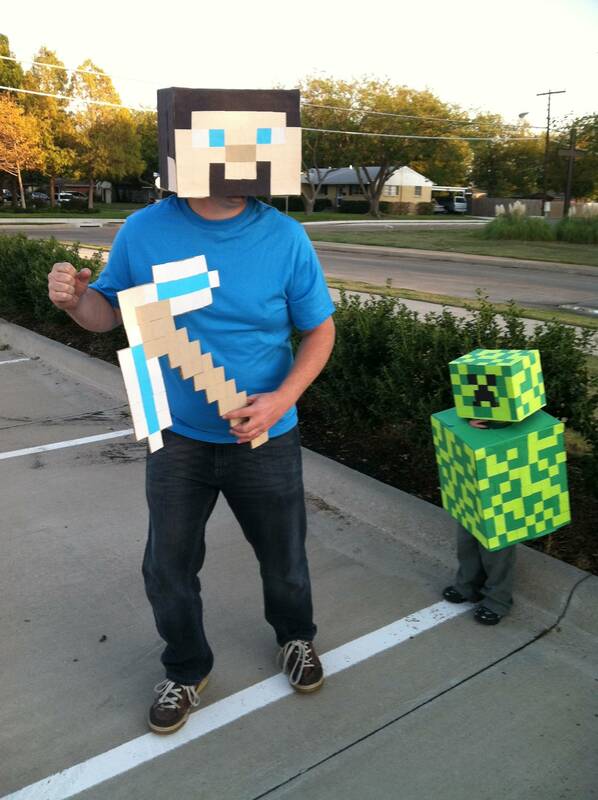 Don’t you wish you had three little kids that you could dress up as dragons to rip this idea off? Be a star in our SheKnows costume contest! 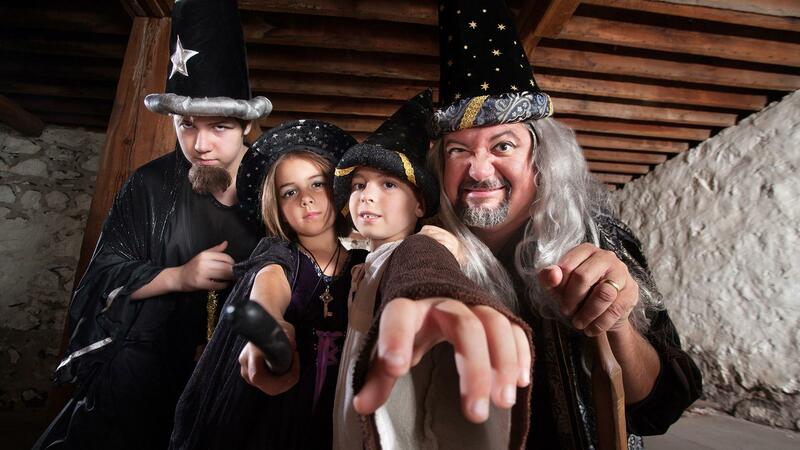 Share a “Most Creative” or “Best Family Ensemble Photo” and you could win prizes! 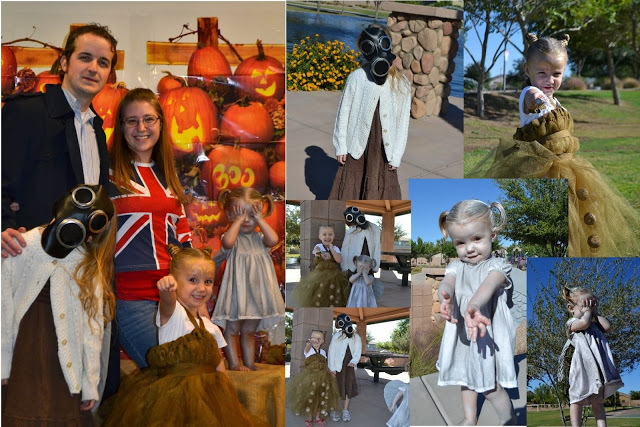 Submit through Facebook, Instagram, and Twitter using the hashtag #SKBESTCOSTUME, or fill out a form to be entered.